The best portable camping stoves detailed reviewed for fun vanlife travel. 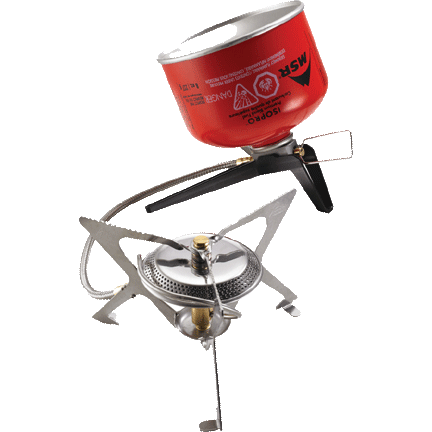 There are a multitude of portable camp stove options on the market, and many factors for choosing the best stove. 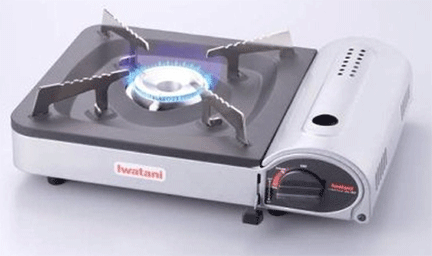 This article will allow you to choose the best camping stoves for all your campervan journeys. In terms of number of people and cooking aspirations, the general rule of thumb is single burner for one person and two or more burners for more people. 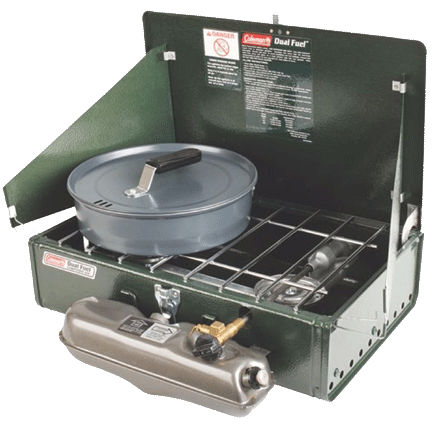 However single campers who like to chef it up on the road can get a two burner camping stove. Whatever the case may be, it is important that the stove selection be adequate for the feeding of the group. In the wilderness, you cannot just hop downtown and get a gas refill or call your local utility to turn on your cooking gas. 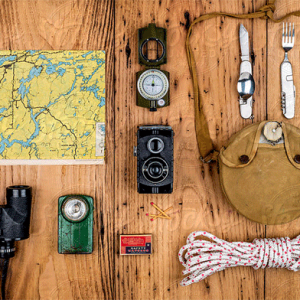 Thus, the type of fuel used is an important factor to consider when choosing a suitable camp stove for your trip outdoors. 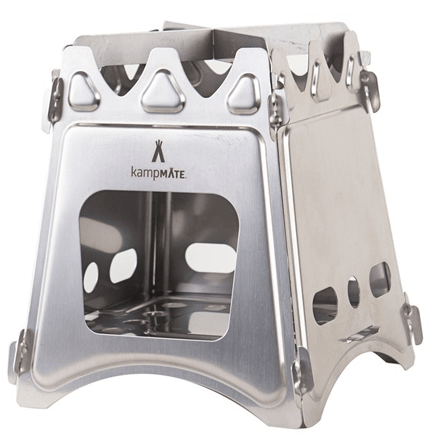 There are numerous fuel options that are used by many of the top brands of best portable camping stoves. Each with its own strong points and weak points based on parameters such as fuel availability and economy, ease of refill, weight and spill hazard just to mention a few. 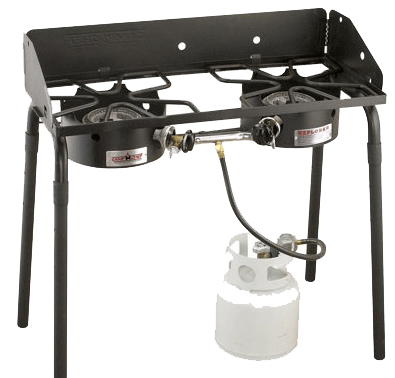 In this article, I’ll cover these fuel types and their pros and cons in some detail in order to help our readers make informed choices when choosing camp stoves. 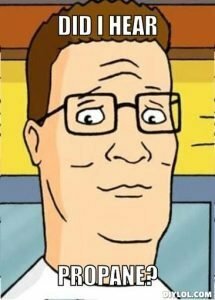 Propane and Butane are popular fuels for most single campers. They are both gases and their heat output is basically the same, so they both cook meals at the same speed. Propane and Butane can also be mixed to form hybrid cooking fuels. You don’t need firewood when using propane, butane and hybrid stoves. Very easy to light, no priming required. There is no risk of spilling as they are stored in pressurized containers. They are both long lasting fuel options. Butane does not burn in high altitudes due to the low ambient temperature which causes the gas to condense to its liquid form. Bulky, empty gas canisters need to be carried and eventually recycled. White gas is simply pure gasoline that does not contain any of the additives found in gasoline blends for use in automobile engines. It’s a liquid camping stove fuel but unlike other liquids (kerosene, diesel, unleaded auto gasoline), it is free from impurities. 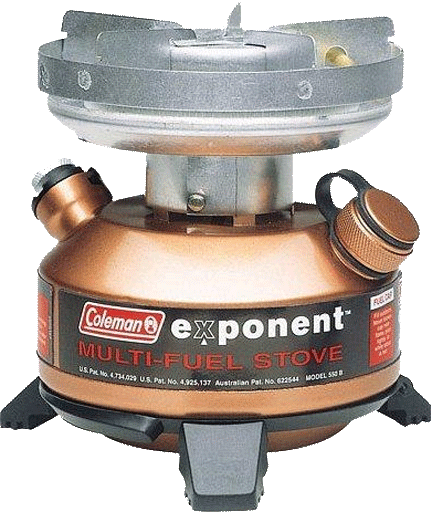 It is the popular fuel choice for larger size camping stoves. 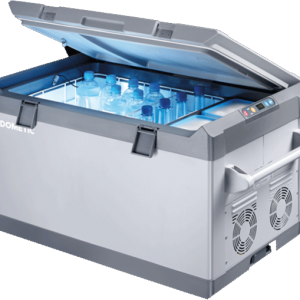 It has high heat output and as such it is suitable for most types of cooking. 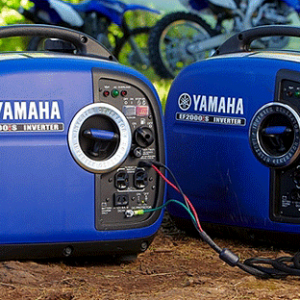 White gas has low temperature properties that make it suitable for cold weather conditions and high altitude camping. White gas stoves are readily available, they’re parts are easy to find, so they can often be repaired when they break. Rare in today’s throw away world. White gas is easy to spill. Just a small spill from the white gas container is enough to make the smell permeate your belongings. 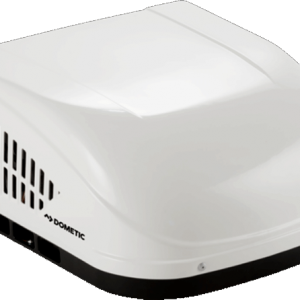 White gas is not stored in pressurized containers and as such, it takes up more space than gas fuels. White gas stoves require hand pumping and warm up time. White gas may not be readily available outside the US. Just like the name implies, this type of stove can operate using more than one type of fuel. Such stoves can run on white gas, unleaded auto gasoline, jet fuel (kerosene) and even gas oil (diesel). 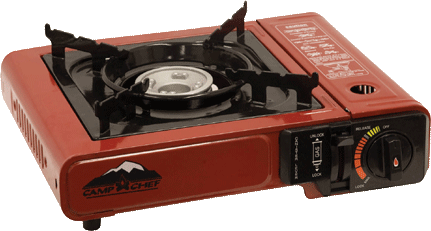 Some multi-fuel stoves even have the ability to support both gas and liquid fuels making them an even more versatile option for campers. Highly versatile. 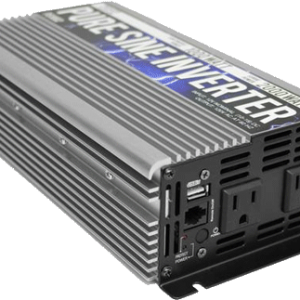 Can use different fuels and can operate in varying temperature conditions. 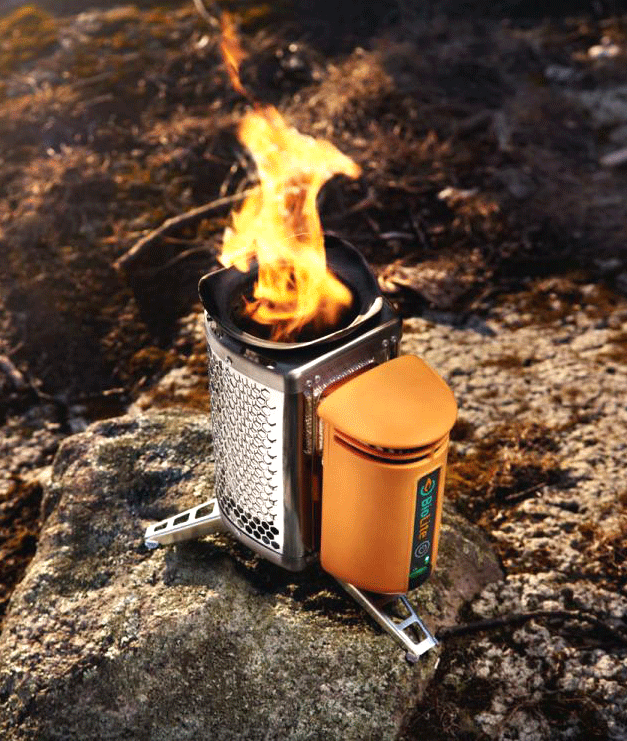 Most multi-fuel stoves feature robust design that makes them small and compact. 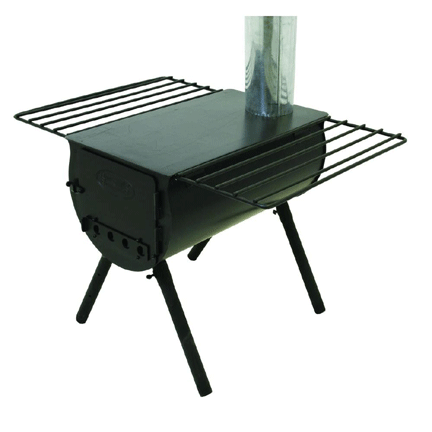 The ideal stove for light van packing and hiking. 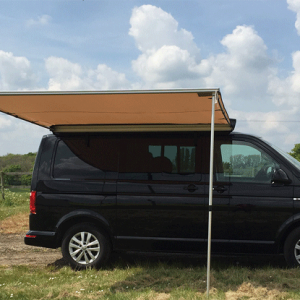 Easy to maintain while outdoors. Requires extensive cleaning after use. Some of the liquid fuels contain residues which can clog up the stove. Again, liquid fuels can easily be spilled. I’ve personally had expensive hiking gear ruined by fuel spills, so make sure to purchase good quality fuel bottles if you decide to use this type of stove. 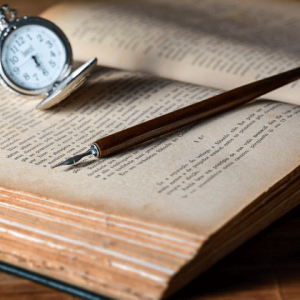 In recent years, there have been considerable technological innovations in the design and performance of wood burning camping stoves, and they are fast becoming a staple for many campers. And the classic cylinder stove has been adapted for portable use. 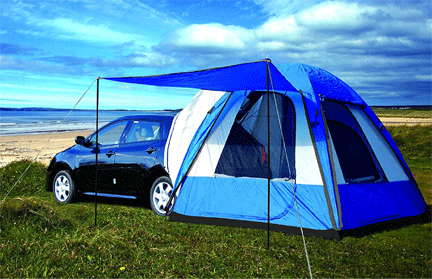 They can be used (with careful stove pipe ventilation) in vans and tents, or they can be set up outside. Since the fuel is wood which is often readily available in the wild, you don’t need to carry fuel with you. Has an authentic natural feel to it. Creates that fireplace ambience which adds to the overall outdoor experience. 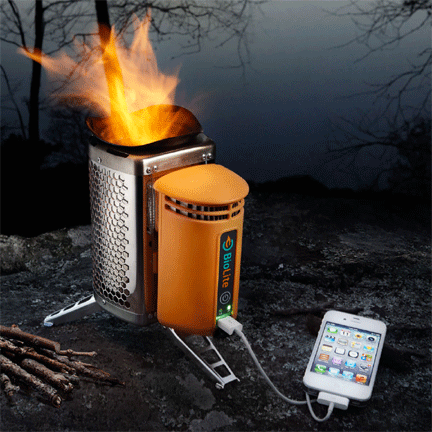 Some models generate enough electric power while in operation to charge mobile phones via USB ports installed on the stove. They are mostly simple and lightweight but built of sturdy material such as titanium. Requires dry wood which can be difficult to find in wet weather conditions. Some wood may release harmful emissions which can be dangerous especially when used for grilling. Cannot be used in areas where lighting a wood fire or collecting firewood are prohibited. Difficult to use in high winds without a windscreen. 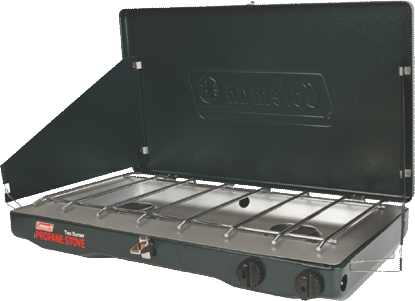 While making the choice of the best portable camping stoves for your next hike or camping trip, you may want to consider the possibility of carrying two types of stove. One should be liquid fuel, while the other should be wood burning. This way, no matter the unforeseen circumstances, you will always have a stove to use for cooking.